JMS Delta-TSV (Telescoping Valve) is custom engineered by JMS to meet the specific needs of the application. TSVs are typically used to provide level control (decanting) or sludge draw-off from adjacent basins. Common uses are in settling tanks, pump stations, digesters and aeration basins. The Delta-TSV is available in either rising stem, with a clear cover tube marked to indicate position, or non-rising stem, with a geared mechanized travel indicator located in the stand. Operating methods include manual handwheel, or electric actuation. Sizes from 4” to 16” diameter are available. Standard construction materials for the valve and stand are stainless steel. 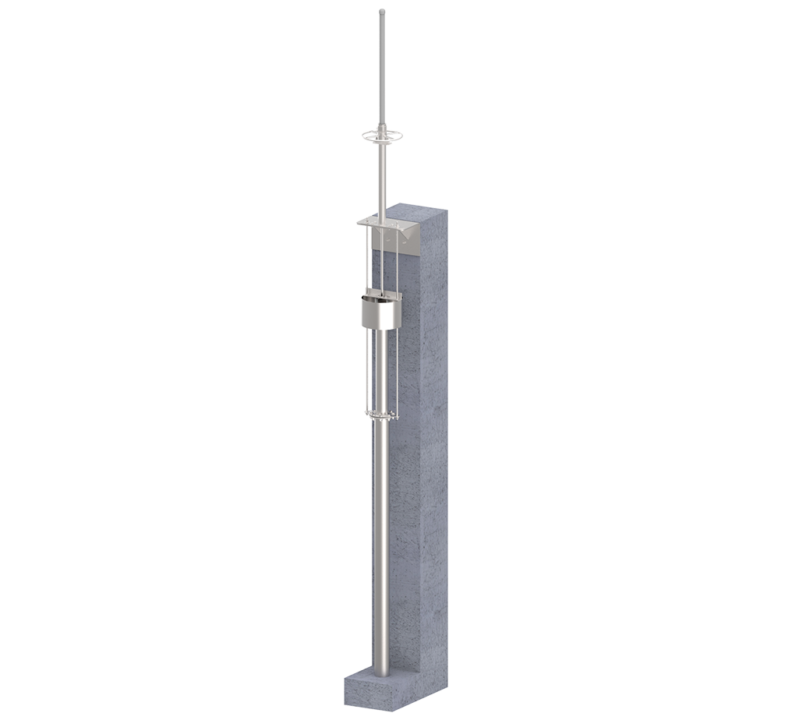 Inlet flow control options include: V-notch, allowing more precise level adjustment at low flows; funnel type (flared) that slows entrance velocity at high flows; or baffle inlet, which keeps floating solids from entering the valve.